This week, Disembodied Voice spoke with Karen, a member of the Incarcerated Workers Organizing Committee in Gainesville, Florida. People imprisoned across the state of Florida are gearing up for a work strike and boycott of prison profit centers such as commissary beginning on January 15, and the Gainesville IWOC chapter has been a crucial node of support on the outside. 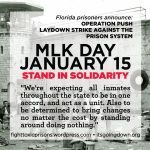 DV spoke with Karen to get the scoop on what to expect from the upcoming strike, the demands of folks who are participating, the broader context of the movement to end prison slavery, and how folks inside and outside are organizing to counter brutal conditions in Florida prisons and beyond. But first, here is an announcement regarding the very first anniversary of January 20th, 2017, upon which day over 200 people were kettled an arrested on L and 12th streets by DC police for allegedly protesting the inauguration of Donald Trump. This case has become a rallying example of the United State’s eagerness to punish even a glimmer of dissent against the established regime. The first 6 of the initial defendants have just been acquitted of all charges, charges which would have amounted to many decades behind bars had they gone through, but there are still over 180 defendants awaiting trial, and there is a long road ahead in terms of support and resistance. 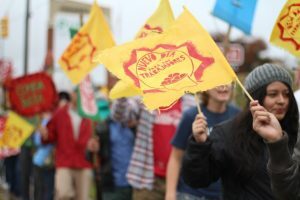 “We propose to use the week of J20 2018 to reconnect with our networks, revitalize our spaces, organize new projects, hold special events, and bring people together to build our movements. Autonomous spaces include infoshops, community centers, and bookstores. But an autonomous space can also be a public place you make a habit of gathering in or a territory you share and defend. Open spaces offer a way for people who are freshly curious about our movements to plug in, pick up literature, and begin fostering relationships. Community events involving putting in work at autonomous spaces. This could mean fixing the bathroom or repainting the walls, or it could mean soliciting people to bring supplies, books, and other materials to add to the space. Let this be an opportunity for the community surrounding the space to strengthen and expand the physical infrastructure. Block parties and celebrations around the space, reconnecting the wider community that uses and interacts with it and bringing in new people. To that end, right here in Asheville, we’re kicking off a week of rebellious activities with a Haywood Road block party to share food, fun, and knowledge. 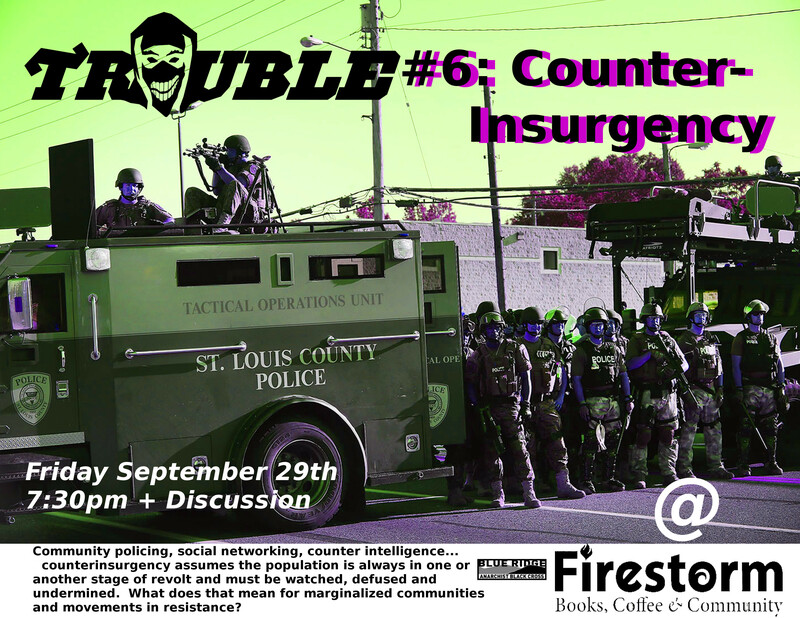 This is a free event open to everyone so bring your friends and let’s talk about where we want to go from here! 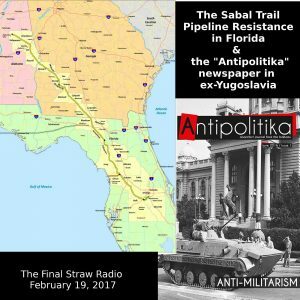 Additionally this week also we have audio from our comrades at ARadio Berlin! Anarchist Radio Berlin, which can be found at http://aradio.blogsport.de, did this interview with a UK-based organizer from the Reclaim the fields initiative, and they talk about the planned international camp in North-Wales, the relationship of food sovereignty and the prison system, and the topic of prison abolition as such. 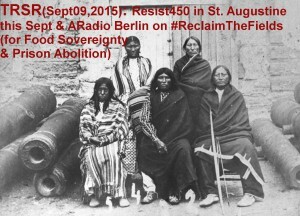 You can send these folks feedback and comments at: aradio-berlin(at)riseup(dot)net Thanks to these comrades for sharing this audio! 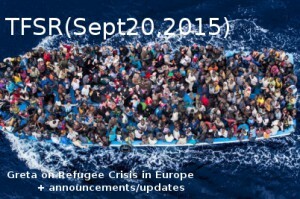 Stay tuned for more from ARadio Berlin next week. Sean Swain speaks his piece on the recent drug delivery via drone, which occurred on July 29 at the Mansfield Correctional Institution some 65 miles southwest of Cleveland, OH. It contained almost a quarter of an ounce of heroin, over 2 ounces of marijuana and more than 5 ounces of tobacco. Sean speculates as to what other uses drones might have, and leaves us with words to ponder.